The Aboriginal Noongar people that inhabited the Perth area before colonisation had defined 6 seasons. We should use these really, they make a great deal more sense here than the English seasons the settlers brought with them. This season runs through December and January when the warm days are cooled by afternoon sea breezes. Noongars would burn the land to improve grazing patterns for game animals and improve their mobility while traversing the land. 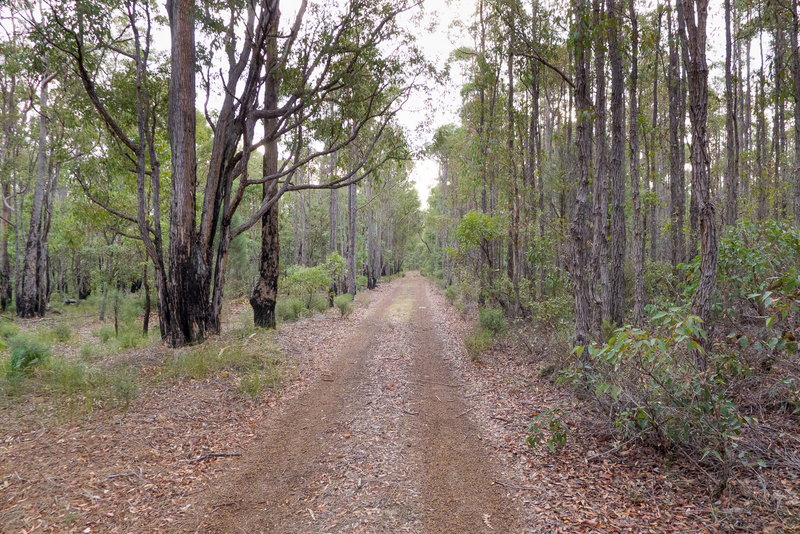 This is the hottest time of the year, February through March, when there is little to no rain and the Jarrah and Marri trees are in full bloom. During this time, the Noongars would live by the coast, rivers, and estuaries. Running from April to May, this season is the time for marriages and courtship ceremonies. 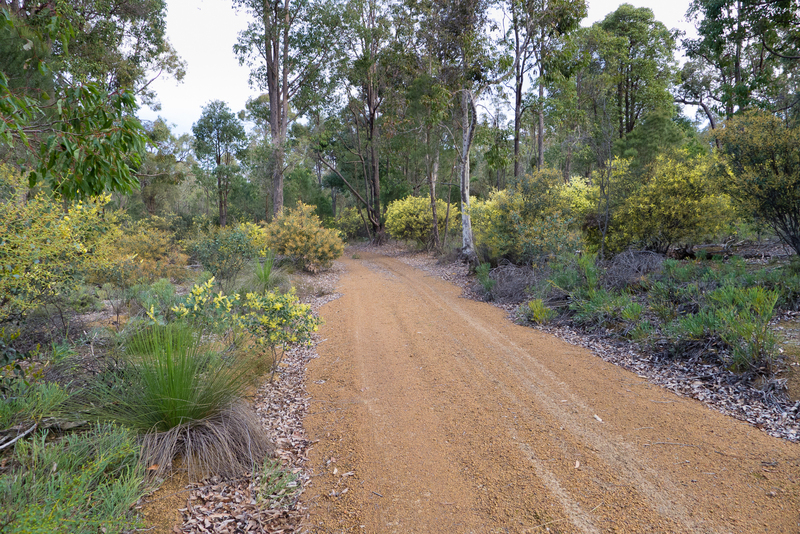 Several of the Banksia trees would start to flower and the diet changed to incorporate fish, frogs, and turtles. Spanning June and July, traditionally this was the time of year to migrate inland. Fattier red-meat animals, such as the yonga (kangaroo) and weitj (emu) were hunted at this time of year and used as bookas (food and clothing) to help ward off the cold. 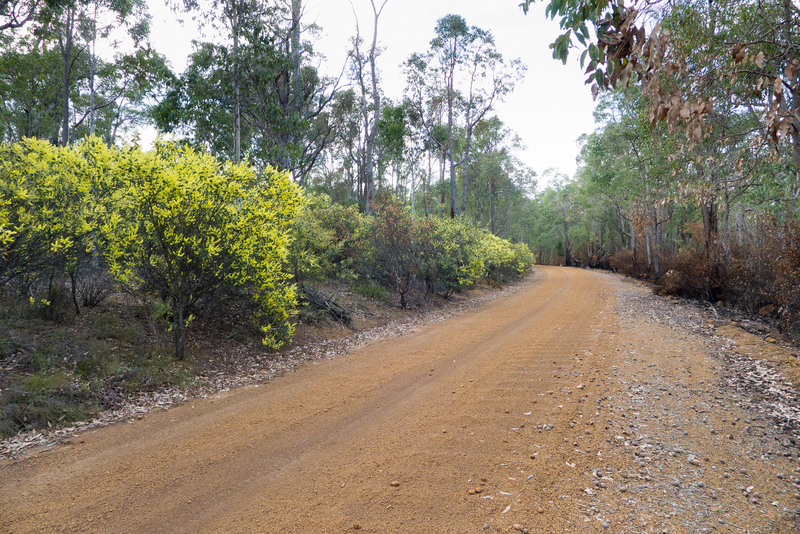 During this time, August to September, the wattles come into full bloom and signal the start of the mass blooming of the south-west. The large birds nest to hatch their eggs and popular foods included yongas (kangaroos), weitj (emu)and koomal (possum). Through October and November the landscape is carpeted with a rainbow of wildflowers. The Balga (grass tree) starts to bloom and reptiles are out of hibernation, making for good bush tucker. Judging from yesterday’s ride (sunny, warm) and today’s weather (wet, damp, grey) – we’re smack bang in the transition from Maruku and Djilba. The dust and heat of late summer has long gone, leaving a very agreeable surface for biking on. Well, agreeable if you have been practicing, which I haven’t – so it felt all very sketchy and unsteady for a good while. 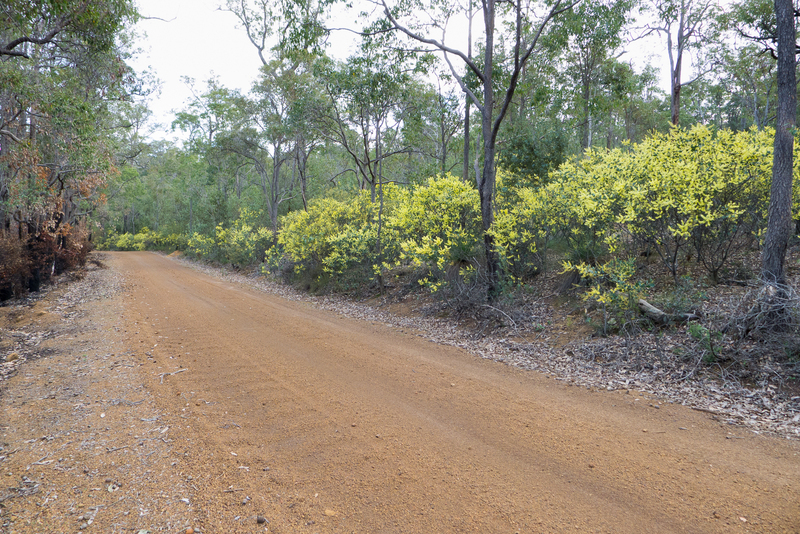 As usual, I didn’t see another soul out on the trails, but I did see wattle and lots of it. Wattle everywhere. Plus there were the odd signs of early ground flowers too – it’ll be lovely in a month or so. 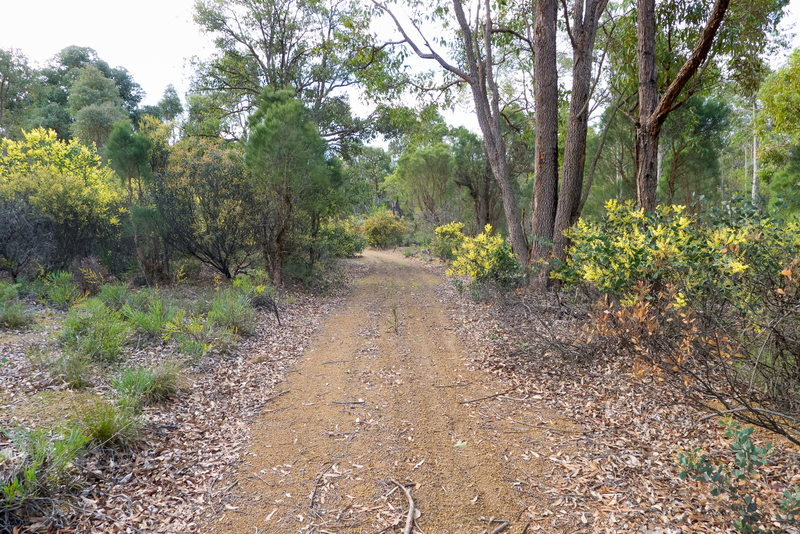 Its a bit of a shame that there’s been a backburn here over the winter – the forest on the opposite side of the trail has been scorched and all the wattle bushes were black. They’ll be back in earnest next year of course, but for these pictures, it could have been twice as yellow! 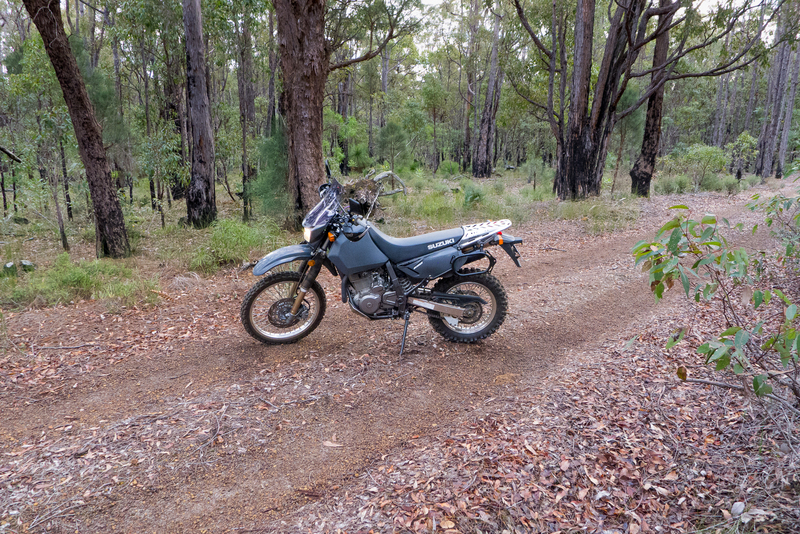 Deeper into the forest, it gets loamy rather than packed pea gravel, which is much more fun to ride on – by now I was getting a little more tuned into what the bike was doing and I could open it up a bit. Which of course was just when the kangaroos burt out of the forest and across the train in front of me to give me a minor heart attack! 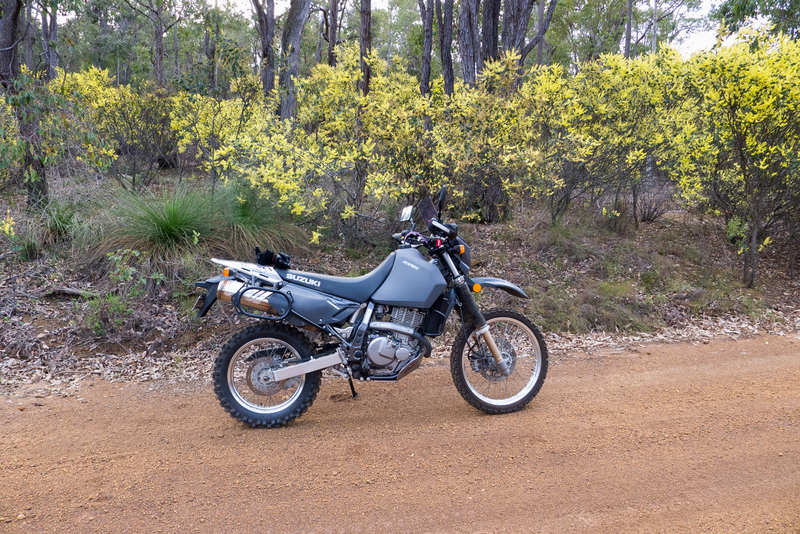 For the most part, the riding was pretty easy – there were some pretty rocky sections on this track and I willed myself not to panic and keep hard on the gas and it all turned out fine. 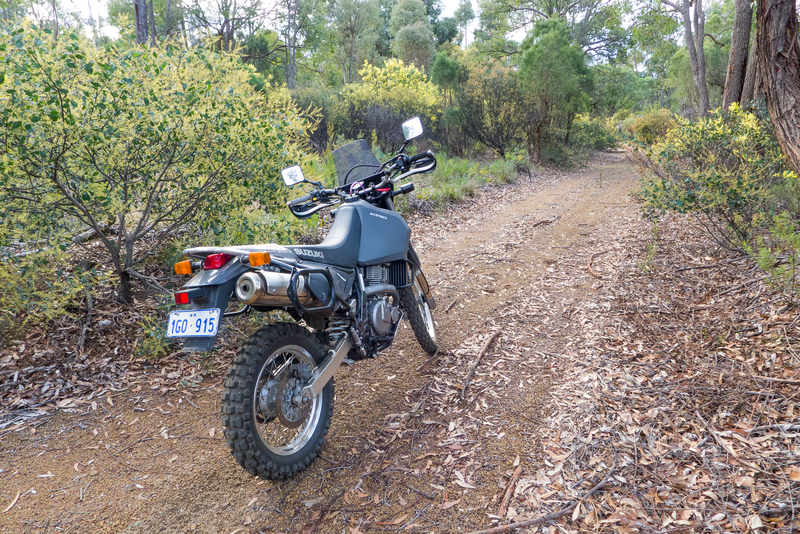 I do struggle with rocky downhill sections – they feel very out of control as you can’t get on the gas to power over stuff. More practice needed. 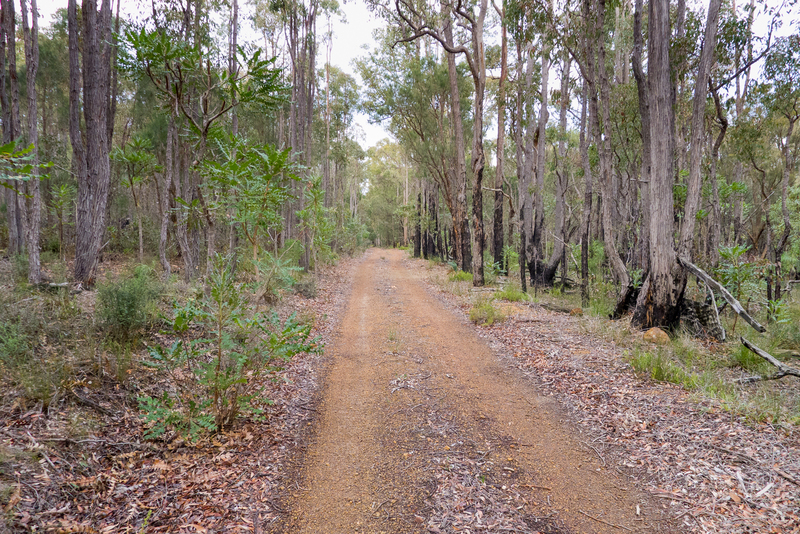 I turned off the trail to come back before it got too late and the track opened up into gorgeous bright yellow wattle again – awesome. 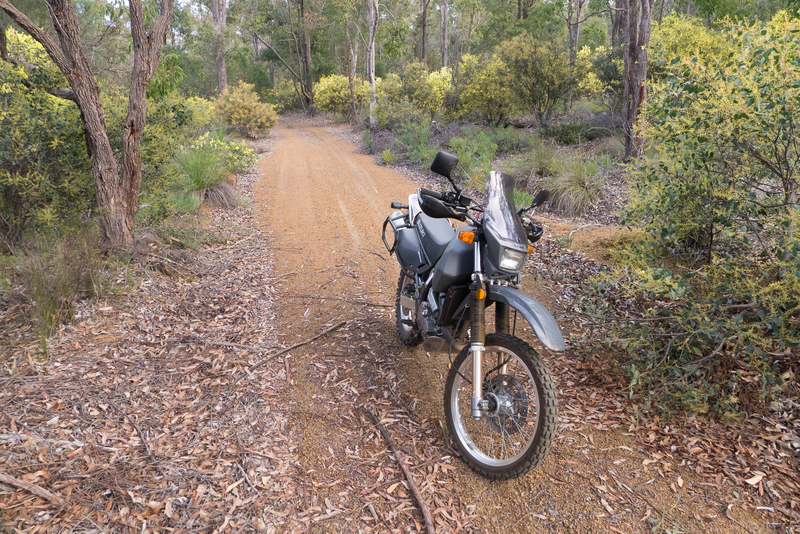 I headed on back, picking up speed and confidence all the way along the broad gravel tracks of Millar’s Log Road until I made my way back through Jarrahdale and then back along the scarp to Kingsbury Lookout just as the sun was setting. The evening was beautiful and looking out across the wide plain towards the glimmering ocean I could see the woodfires coming from some of the homes and farms. In truth, I could have stayed there if it wasn’t for the fact that I had tinted goggles on and being there with the lady who just sat there silently and possibly a little resentfully in the middle of the lookout was a little awkward! All in all – soul food. Great read! 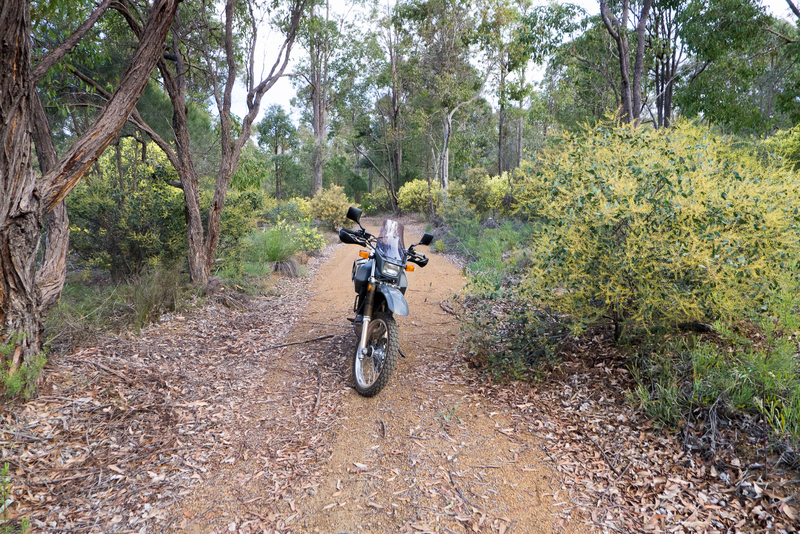 Tying in indigenous seasons with motorcycle riding made for an interesting angle – loved it! 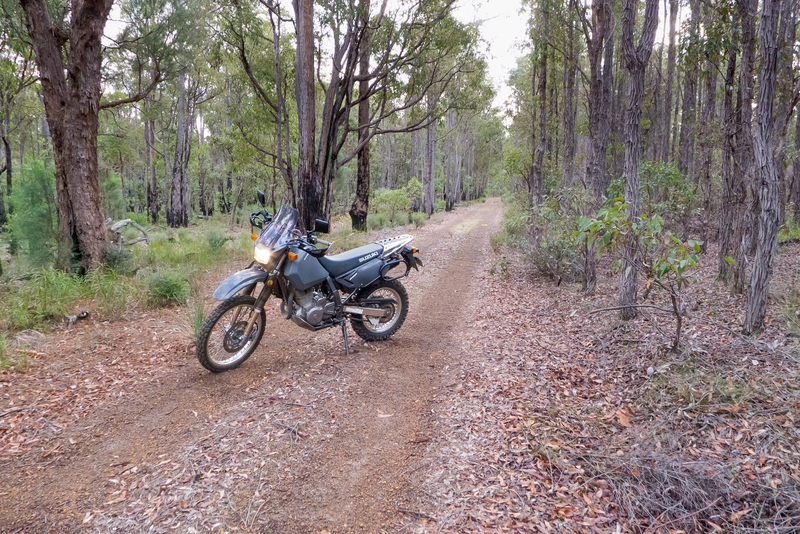 It you’re interested in indigenous history then riding the DR around Australia is going to blow your mind! So much knowledge to absorb everywhere you cast your eyes. Yes! 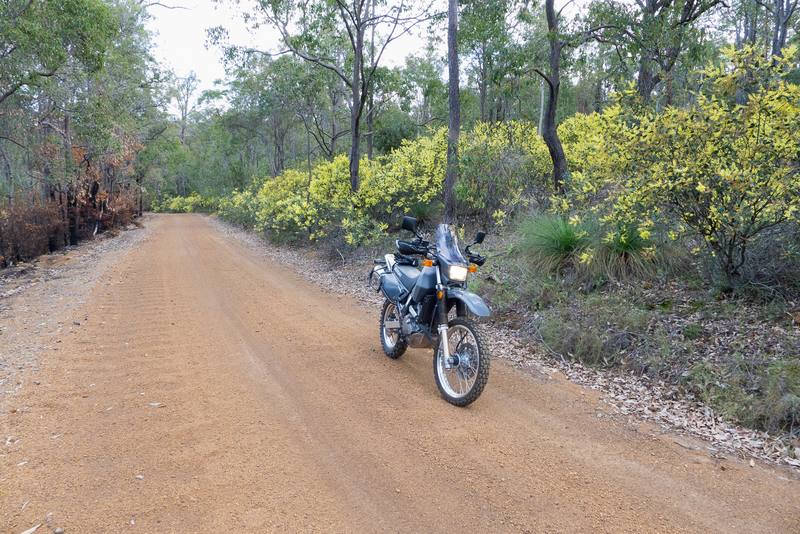 One of my aims for riding is to go see some of the really out of the way places and get a feel for Indigenous culture. I work for a government agency that has facilities in a lot if not most of the remote communities in WA, so I’m planning to get some introductions to some folks who might explain what the country means to them and why. Be very interesting to combine my geological history with Indigenous history 🙂 Just gotta keep on with getting the bike expedition ready..!